We counsel people that are preparing for the eventualities that they will face toward the end of their lives. Retirement planning is part of the process, and we also assist people that are preparing for long-term care costs. This is an important thing to take into consideration, because Medicare typically will not pay for a stay in a nursing home unless it relates to rehabilitative services. 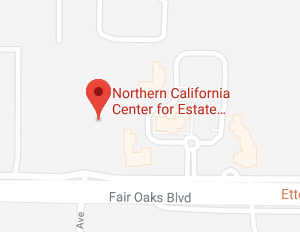 Here in northern California, the annual charge for nursing home care is in the six figures, so this is very significant gap. Ultimately, caring and comfort will be the primary concerns when healing is no longer possible. During this stage, hospice care can become necessary. Many people would prefer to pass away at home, and there are mobile hospice services that will accommodate these individuals. Hospitals, independent hospice centers, and some nursing homes also offer hospice care. A hospice team will be comprised of a number of different professionals. The patient’s personal physician will be involved, and there is also a doctor or medical director that is affiliated with the hospice. Nurses and home health aides can be present, along with social workers, clergy members, counselors, therapists, and volunteers. Assistance will be available 24 hours a day, seven days a week. During this end-of-life period, the patient’s pain and symptoms will be managed by the medical professionals to provide optimal comfort. Spiritual and emotional support will be available, and family members will be able to tap into the expertise of counselors and experienced volunteers. Though there will be a great deal of professional help available, family members can be as involved as they choose to be when a loved one is receiving hospice care. As we have stated in the opening, Medicare will not pay for living assistance. However, it will assist with hospice expenses. Medicaid and many private insurance plans also cover hospice, so most families will have some source of financial assistance. If you would like to put a comprehensive plan in place that prepares you for the eventualities of aging as you simultaneously craft your legacy, we would be more than glad to help. You can schedule an initial consultation if you give us a call at 916-437-3500, and we can alternately be reached through the contact page on this website.